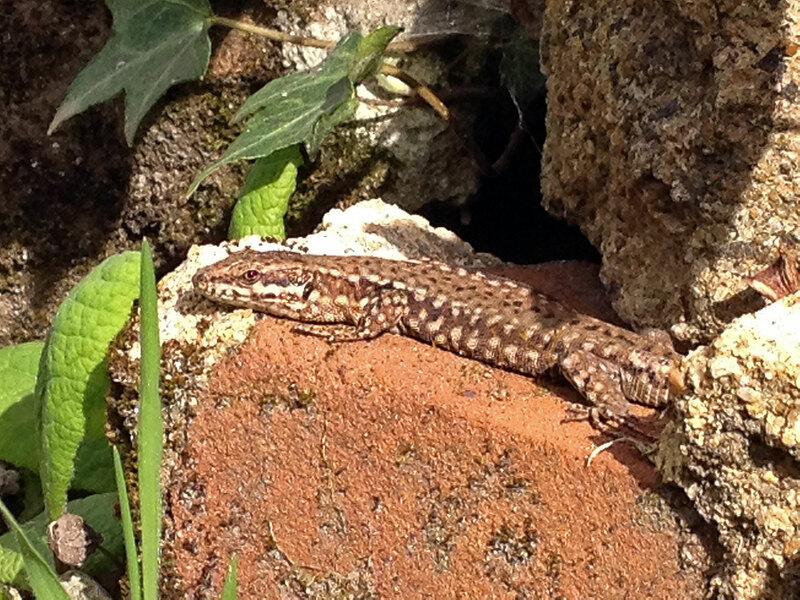 We’re lucky enough to have a Victorian wall in our garden that’s made out of old Clunch Stone – a traditional building stone from chalk and limestone areas – which has lots of lovely nooks and crannies that are perfectly suited to lizards. Our friendly lizard is called Gordon and he likes to bask in the sunshine and snack on insects and creepy crawlies that live in the rose garden. He’s a common lizard, but he’s quite posh as well. And how do we know he’s a boy? Well males tend to be ‘spotty’ and females tend to be ‘stripy’.